Thirteen car parks in Pangbourne, Thatcham and Newbury have recently been awarded the prestigious Park Mark award. 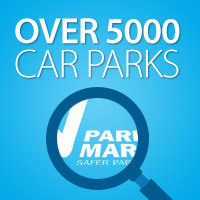 To be awarded, car parks undergo a rigorous risk assessment by a police assessor who looks at surveillance, prompt repairs, lighting, signage and cleanliness. A British Parking Association (BPA) area manager assesses the management of the car park. If a car park passes, the police award a Park Mark. Jeanette Clifford, West Berkshire Council’s executive member for Highways and Transport, was presented with Park Mark awards for 13 of our car parks by Michael Gardner from the British Parking Association today (17 August 2017). 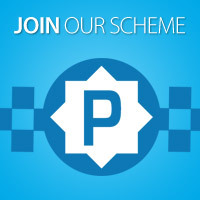 Romy Freiburghaus from Thames Valley Police said: "The distinctive Park Mark signage helps drivers find car parks where they can confidently leave their vehicle, knowing the environment is safer. We award the car park not the organisation. Newbury - Market Street; Central; Kennet Centre; Library; Northbrook multi-storey; Corn Exchange; Northcroft Lane; Pelican Lane; West Street; Wharf Road. Thatcham - Kingsland Centre; Station. Photo: West Berkshire Civil Enforcement Officers with (L to R) Romy Fraser, Thames Valley Police; Cllr James Fredrickson; PC Tim Emery; Cllr Jeanette Clifford; Michael Gardner, BPA.